I never move to a city without first checking out the Meetup groups located there. Call it an idiosyncrasy, but I’ve never found a better meeting ground for people with similar interests. The vast variety of Meetups now available in every city gives an individual a good exposure to any talent/ skill/ interest that he or she might want to explore. It wasn’t however until I attended a Big Data & Hadoop Meetup recently that the HR in me kicked in. I walked out cursing myself of not coming up with this brilliant brainwave earlier. No matter what the technology or field, it is highly likely that you will find an associated Meetup in town. If there isn’t, starting one is the easiest thing ever. Be it Python, Ruby, Big Data, Financial Geeks, public speaking or even Excel, there are always people in the city who want to learn more or just discuss. What better platform to showcase your talent pool, present your organizations story and source passive talent? Here’s the thing: All organizations have these geniuses that we like to parade to the world; notwithstanding of course, the fear of having them poached. We send these geniuses to national & international conferences, ask them to deliver guest lectures at institutes, attend and deliver trainings and so on. Why have we never got them to actively participate at Meetups? Your geniuses will be happy you urged them to attend. They are experts in their field and love to know more, talk more and well, showcase their talents. It’s highly likely that they talk well about the organization which only makes us that much happier. You could also prep them for the Meetup and make them your ambassadors, your storytellers. 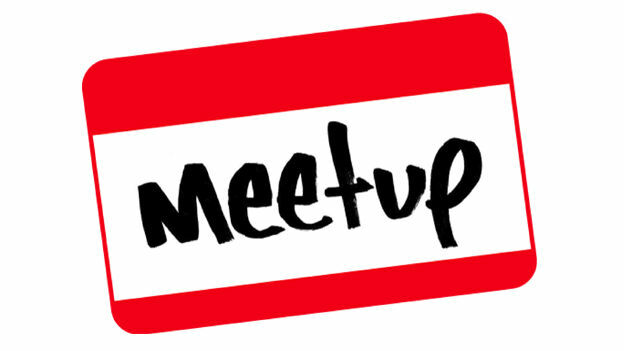 If a suitable Meetup does not exist, get your enthusiastic crowd to set one up. Each organization does have its enthusiastic bunch too and we as HR folks know these people well. Usually (in the fear of being cliché) from the campus batch or the newbies, this group loves to organize and participate. You only need to nudge them in the right direction. However, be careful not give the Meetup a company label. Let them form one and run it out of sheer interest. Meetup groups are usually self-sustaining once started. Meetups also make for brilliant hunting grounds for organizations. You could get your hiring managers to attend and scout passive talent there. The casual setup helps hiring managers get to know potential candidates, their skills and interests better. You might even skip a few rounds of interviews in the bargain. There is an added bonus of pleasing the training team too. After all the talk about building a learning culture, meetups are heaven sent. You need zero investment to attend this highly informative learning ground. The training team would be all too happy to crawl the meetup site and venture out to discover meetups best suited to the organization needs. Tell the team about all the wonderful potential freelancing trainers they might discover. Meetup participants also make for great knowledge sharing anchors internally. If you aren’t still convinced yet, just take one look at the mind boggling 20.46 million user base that Meetup has as of the day this piece was written; guaranteed that it’s only grown by the time you are reading this. With regular meetups and a good footprint worldwide, Mr. Heiferman has given us yet another social platform to leverage. The Meetup blog makes for an interesting read too. While Meetup is already a global phenomenon, it is fast catching up in India. Meetup groups are popping up almost every day in all major cities. New meetup groups that meet regularly bloat in size very quickly. A first mover advantage in capitalizing on the many benefits that Meetup provides is also going to set an example for others. The question now remains – Are you going to set an example or wait to follow suit? Disclaimer: This is a contributed post. The statements, opinions and data contained are solely those of the individual authors and contributors and not of People Matters and the editor(s). NEXT STORY: Blocking social- Is it worth the trouble?